The general indicator of health for horses can be seen in their appearance. This can be a good indication of your horses internal well being. 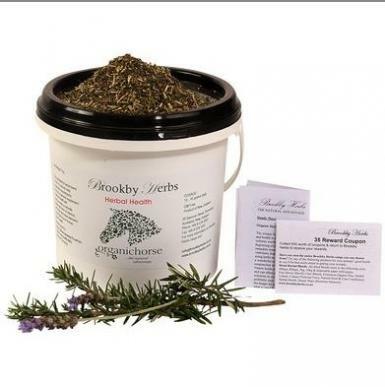 Prevention of ill health for horses is always a much cheaper and easier road to travel and the Brookby Herbs Herbal Health blend has been designed as exactly that, a preventative and general maintenance blend. When you think of the general health of horses we often think of a shiny coat and bright eyes. Most horse skin conditions are treated externally to the skin while ignoring the internal state of health. Herbs work inwardly by restoring, strengthening and nourishing the whole body and can, therefore, help to create a naturally shiny coat and act as a great natural hoof care for horses.